The DYR school program is designed to introduce students to the STEM world starting from a young age. Currently, the elementary school programs meet once a week after school. We have programs at DSIS, Patwin, North Davis, Montgomery, and Willett. At these exciting meetings, students collaborate to find creative solutions to problems presented in the annual VEX IQ Challenge. We've expanded the program to junior high schools in Davis - Harper, Holmes, and Da Vinci/Emerson. Each semester, up to thirty student will be exposed to the VEX IQ program in a classroom environment. At the end of the school year, all of our school programs are invited to compete at the inter-district competition. 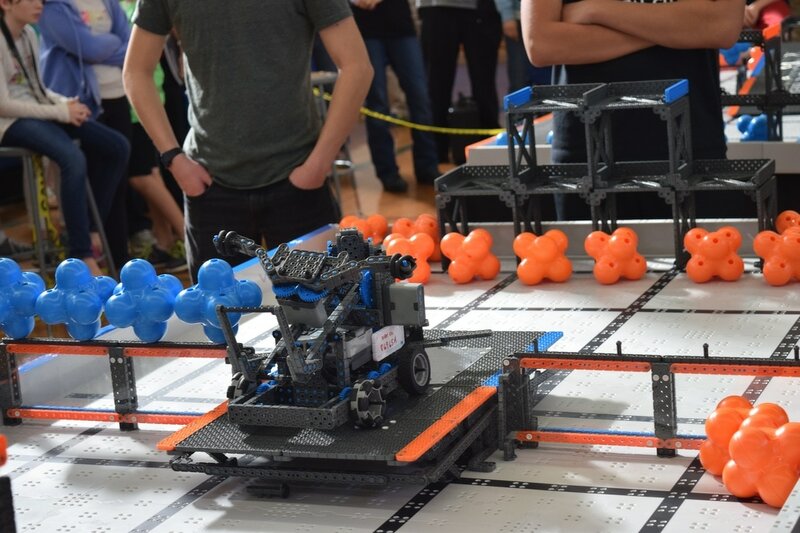 There, teams from various schools compete with and against one another, gaining the opportunity to demonstrate their robot and interact with students from different schools. If you’d like to learn more, please contact Steve Harvey, Lead Coach, at sharvey@djusd.net and Nathan McAllister, DYR Elementary School Coordinator, at nmcallist@gmail.com.